St George Scaffolding was established in 2000 and continues to be run by one of the original founders, Paul Stokes. Paul ensures that the highest standards of professionalism, punctuality and safety are maintained. We are proud of the extensive range of scaffolding services we offer throughout Sussex and the South East; we can handle any style of job regardless of obstacles. 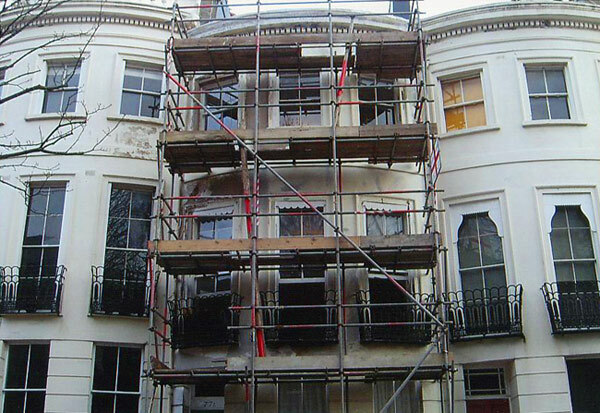 St George Scaffolding is fully insured and has very competitive rates. Our fully trained workforce is able to adapt to any job whatever the size and shape. If you are looking for a reliable company which provides an efficient service at a competitive price then look no further. Simply pick up the phone and give us a ring on 07932 983 526, or use our contact form.